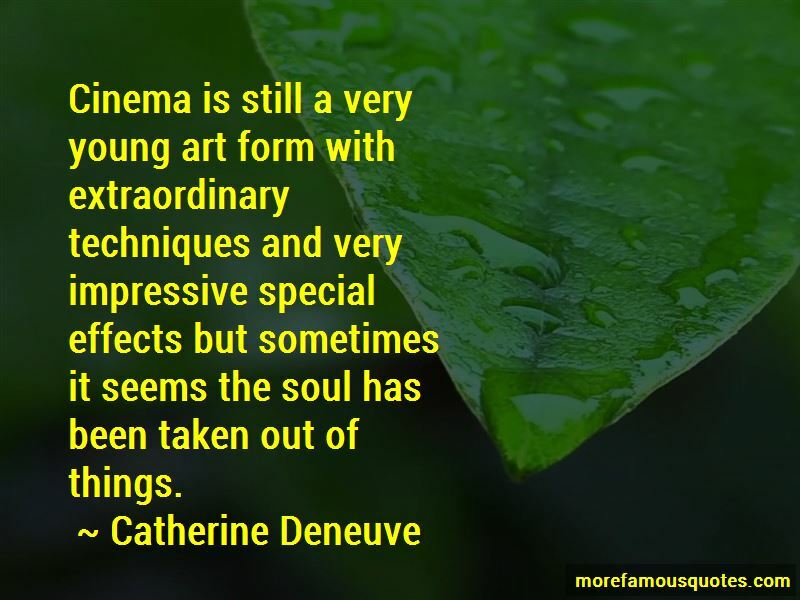 Enjoy the top 104 famous quotes, sayings and quotations by Catherine Deneuve. I love to not work. I like to travel. I work maybe half the year, no more. I love vampire stories. That's why I did the movie. Women especially were taken with that movie-even more so when it came out on video. I have been involved in some films other actresses would not have done. Polanski was very precise. I think he still is. I love to not work. I love to go to the movies, I like to travel ... I think I work maybe half the year. Sometimes, people think I've done three films in a year, but it's because I did a participation in a film. But I work for half a year, no more. I would love to work with Robert De Niro or Al Pacino. I think they're wonderful actors. 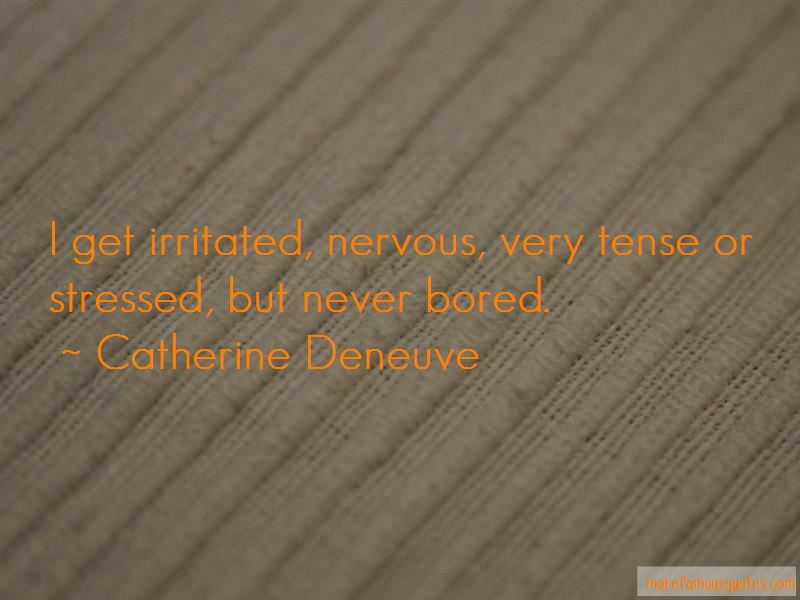 Want to see more pictures of Catherine Deneuve quotes? 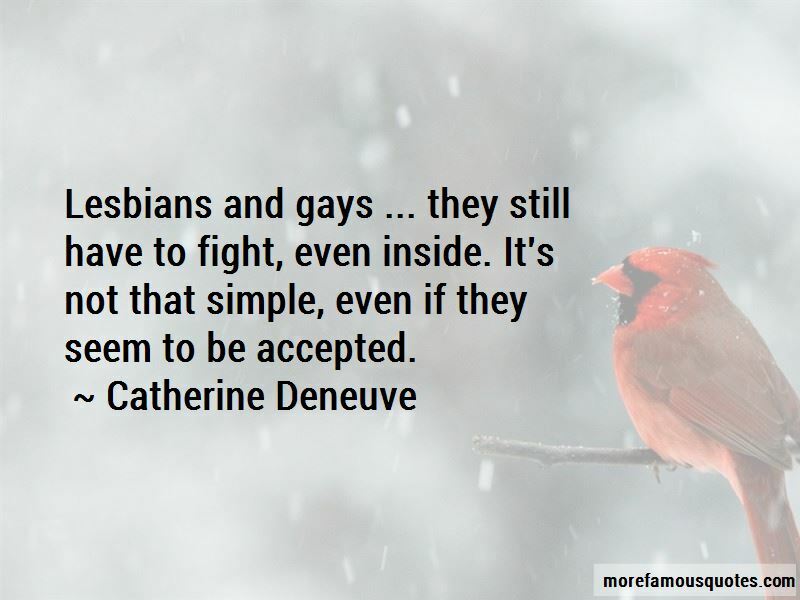 Click on image of Catherine Deneuve quotes to view full size.